Spirou presents… a new and innovating campaign about wastes management. Produced by ICDI and the city of Charleroi, in collaboration with Dreamwall. 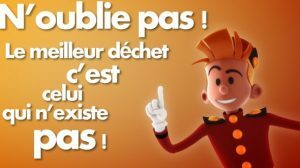 10 video ads showing Spirou who realize, during his adventures 10 tips to limit your wastes. A job at DreamWall ?